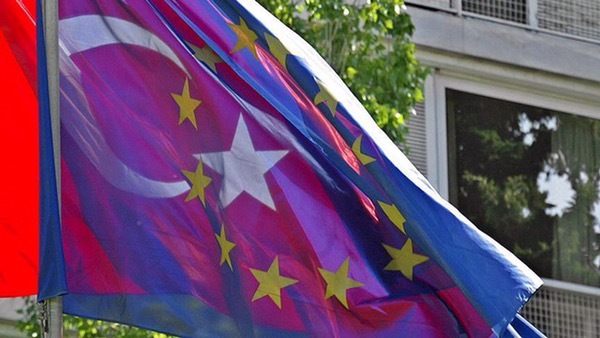 Turkish could become an official language of the EU thanks to the efforts of the Greek Cypriot leader, an official said Tuesday. Nicos Anastasiades has been lobbying for Turkish to be made the EU’s 25th official language ahead of expected reunification with Northern Cyprus, Baris Burcu, a spokesman for the president of the Turkish Republic of Northern Cyprus, said. Speaking at a news conference in Lefkosa, Burcu described the move as a “late but well-meaning step”. Talks between Anastasiades and Turkish Cypriot President Mustafa Akinci to produce a federal state with two autonomous entities have been positive and many of those involved have said they expect an agreement on reunifying the island to be made by the end of the year. “Turkish will be one of the official languages of the prospective united federation, if we come to any agreement,” Burcu said. The Greek Cypriot administration has been an EU member since 2004. Turkish Cypriots are considered EU citizens, even though they live on territory not under the control of the Greek Cypriot government. Cyprus has been divided since 1974. The stalled negotiations resumed last year following Akinci’s election in April.